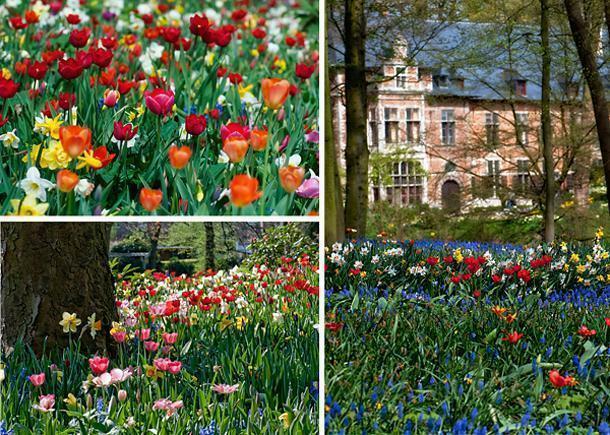 You’ve heard of Keukenhof in the Netherlands, but did you know we have our own spring tulip garden in Belgium? 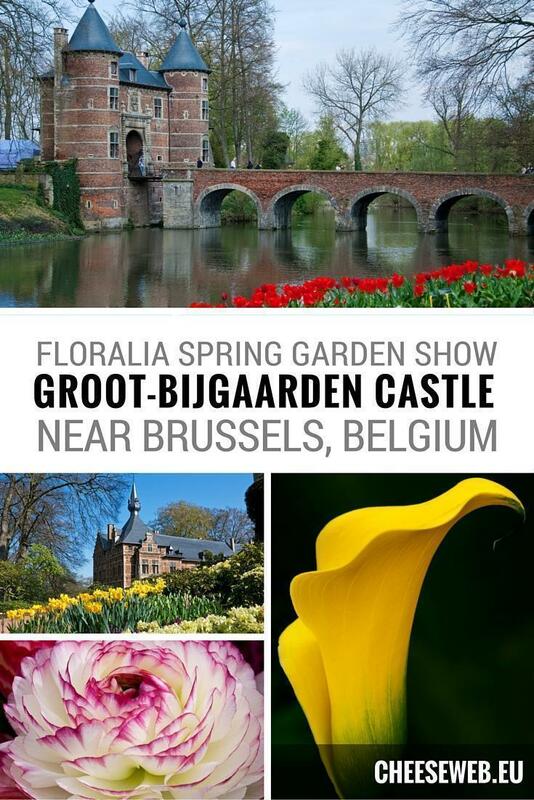 Floralia is the spring flower show at Groot-Bijgaarden Castle and it’s a must-see! 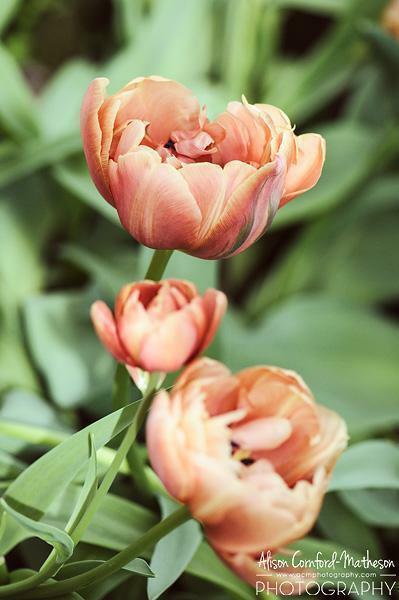 While hoards of visitors flock to Keukenhof Gardens in Lisse, the Netherlands, to witness the explosion of tulips each year, few know right here in Belgium, we have our own tulip extravaganza. 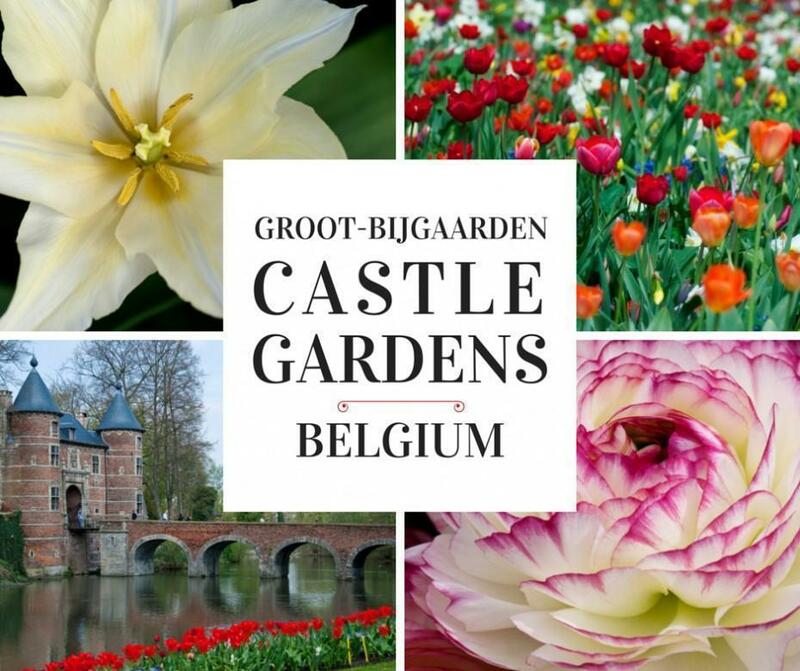 While it may not be as big as the Keukenhof, Floralia, the spring bulb show at Groot-Bijgaarden Castle, has many advantages for visitors who want to photograph spring flowers. Groot-Bijgaarden Castle, or Chateau de Grand-Bigard in French, is located just outside of Brussels. The park is only open to the public for one month in the spring. 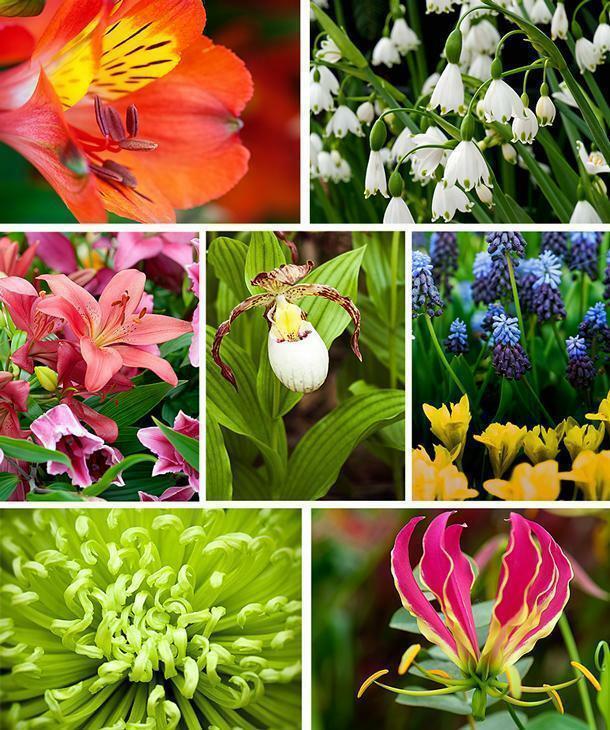 At this time, it is a riot of colour from over 1 million blooming spring bulbs. Despite the limited opening period, the 14-hectare gardens receive 50000 visitors a year. Like its larger neighbour, Keukenhof, to the north, the most predominate flower at the Groot-Bijgaarden is the tulip. There are over 400 varieties planted by hand each year. 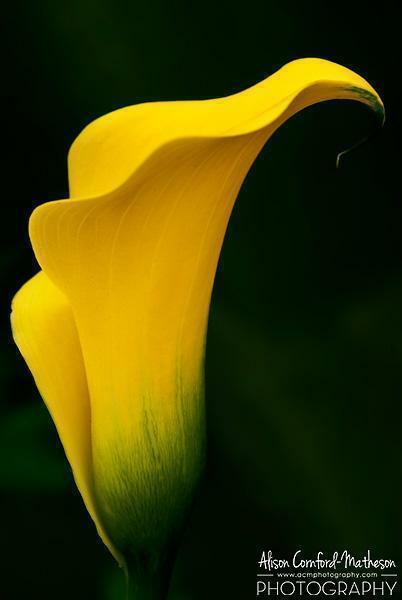 There are also daffodils, hyacinths, violets, azaleas and rhododendrons on the grounds with additional flowers such as calla and tiger lilies blooming in the exhibit area. Groot-Bijgaarden combines two of my favourite photography subjects – gardens and architecture. In addition to the stunning spring flowers, there is also the picturesque tower and castle, circa 1110, to photograph. 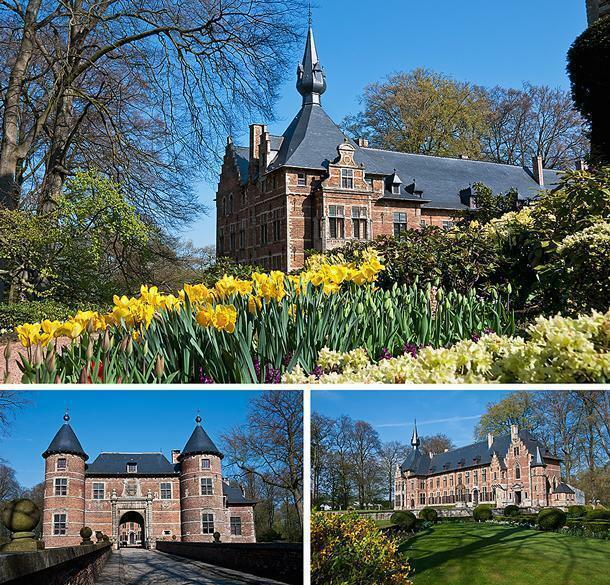 Most of the current castle dates from the 14th and 17th centuries and is a mix of medieval and Flemish Renaissance styles. In 1902, Raymond Pelgrims de Bigard took ownership of the then dilapidated castle and set about restoring it. The entire property is encircled by a moat, so the only entrance is via a beautiful five-arch bridge. 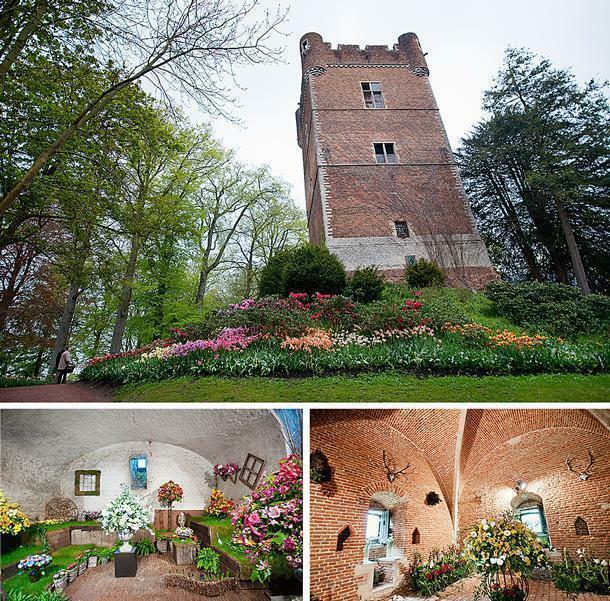 Some years, the tower and tiny chapel host flower exhibits. 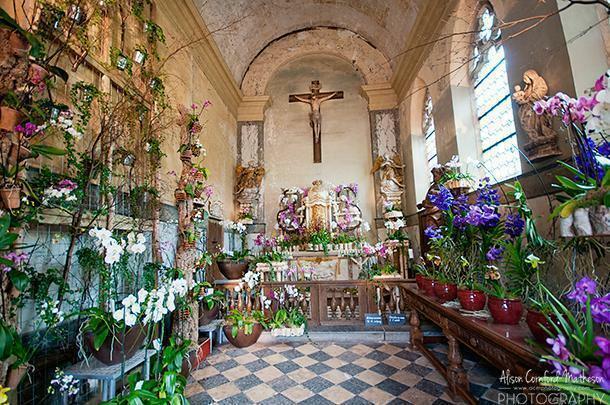 The last time I visited, the chapel was brimming with orchids. Unfortunately, you can’t wander through the main castle building, unless you book it for a function (what a beautiful setting for a wedding! ), but it adds a beautiful backdrop to the flower gardens. Fewer visitors. This is by far the most noticeable advantage. That’s not to say there aren’t crowds at the Groot-Bijgaarden, but it’s nothing to compare with the hundreds of tour buses swarming Keukenhof each day. (See my photo tips on avoiding crowds.) 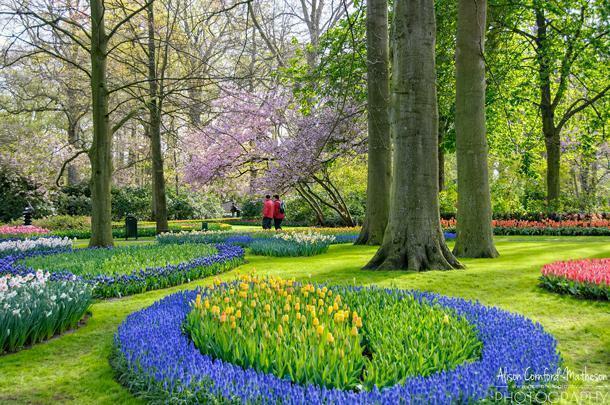 Every garden-lover in the world has heard of Keukenhof. Many Belgians don’t even know about Groot-Bijgaarden. Architecture makes a beautiful background. 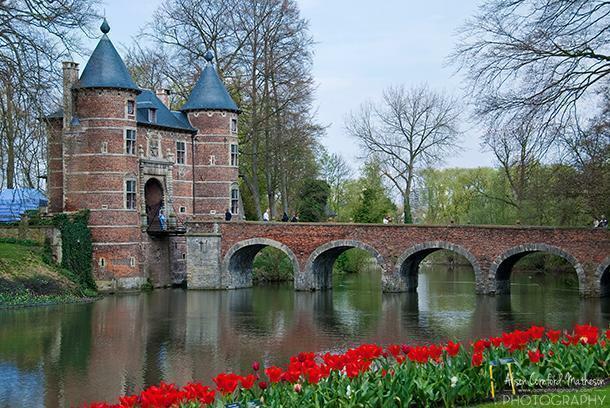 The castle, tower, and bridge at the Groot-Bijgaarden are a much more interesting backdrop to the gardens than the modern and rather boring buildings at Keukenhof. 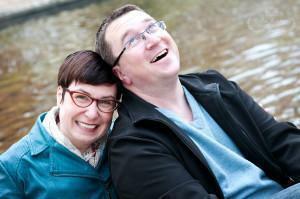 More manageable size. True, the Groot-Bijgaarden doesn’t have the vastness and variety of landscapes as the Keukenhof, but it is a lot easier to get around. If you only have a couple of hours to spend, you can still feel like you’ve seen most of the gardens. Location. Ok, so this is only an advantage to those of us in Belgium. Or is it? The Keukenhof’s location in Lisse does not allow for many hotels in the area and they book up fast. Amsterdam hotels are notoriously expensive. The Groot-Bijgaarden, on the other hand, is about ten minutes from central Brussels and has train and bus links practically at the gate. Price. The Groot-Bijgaarden costs 12€ for adults (with group and seniors rates available). The Keukenhof is 16€ which isn’t a huge difference. However, it is an additional 6€ to park your car. The biggest difference, though, is Groot-Bijgaarden has a season ticket for is 17€. If you go twice, it pays for itself. Size and variety. 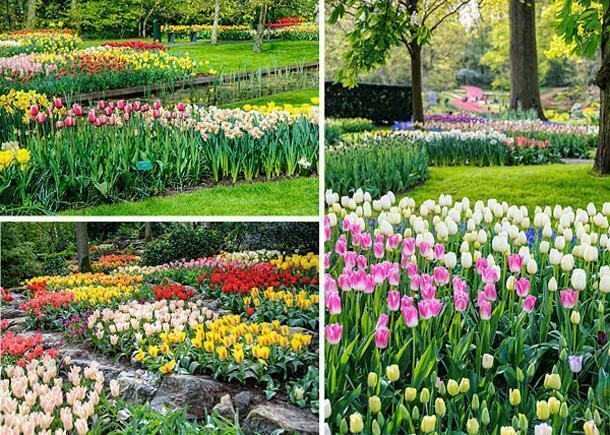 Let’s face it – It’s the Keukenhof… The largest and most famous bulb garden in the world. It’s unfair of me to even compare the two. 7 million bulbs are planted every year and this does not include the exhibition buildings. Better organization. Many of the bulbs in the Groot-Bijgaarden are planted in a more mixed and natural way. At the Keukenhof, the beds are more formal and in many ways easier to photograph. 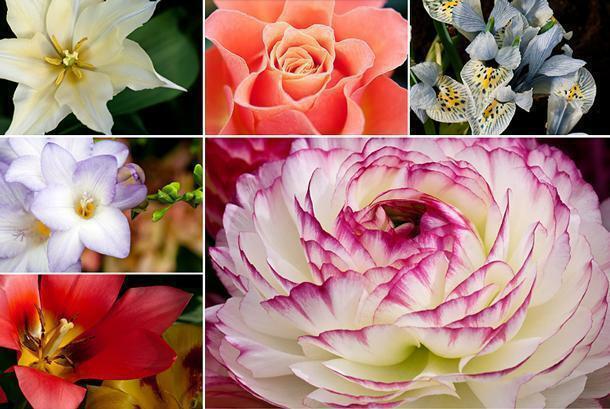 The Keukenhof’s identification of flowers is also more consistent and organized. Over the years, I’ve been to both Keukenhof and Groot-Bijgaarden a number of times and I would highly recommend both. However, if you want a quick garden escape here in Belgium, Groot-Bijgaarden is a clear winner. 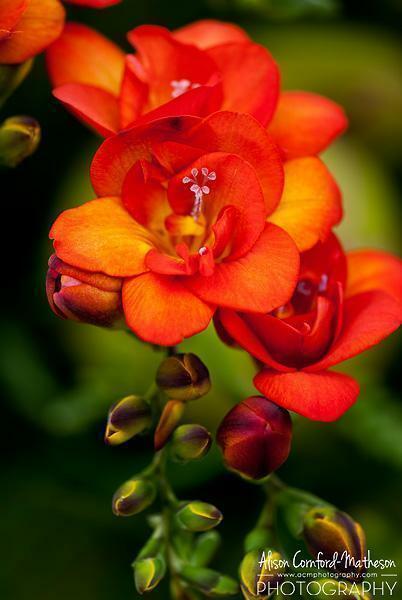 In 2015, Floralia runs from 3 April to 3 May and is open every day from 10 a.m. to 6 p.m.